War hero Jesus Villamor, who fought off Japanese planes over Batangas Airfield. Image source: United States Library of Congress. 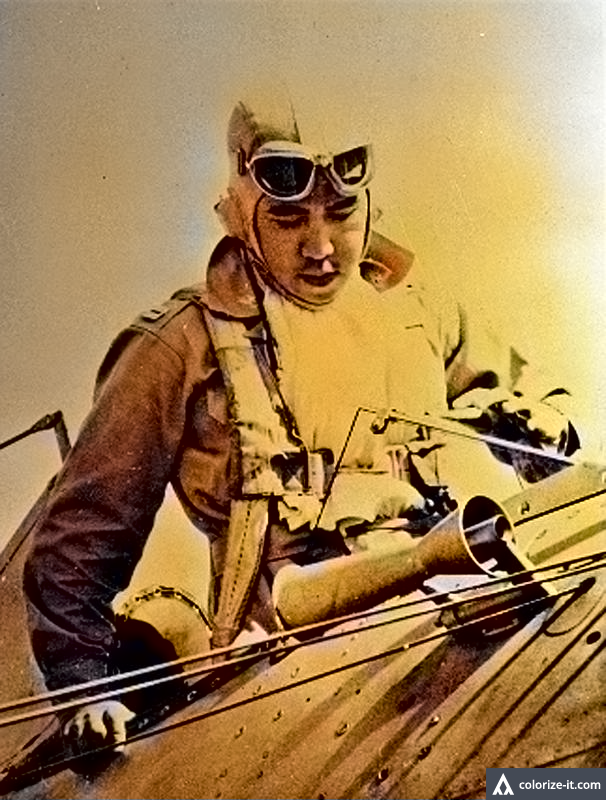 The photograph above is of the Filipino aviation hero Jesus Villamor, after whom the present-day Villamor Airbase has been named, and downloaded from the United States Library of Congress. Fighting Filipino pilot. Manila. Captain Jesus Villamor, commanding officer of the 6th Pursuit Squadron, Philippine Army Air Corps, is pictured getting out of plane after returning from a flight to Batangas Field. The youth, who led a daredevil squadron of six Filipino pilots in erstwhile training planes took on fifty-four Japanese air raiders over Batangas and shot down two, said he "got so mad" he forgot to be scared. One of the Filipino pilots was wounded and parachuted to safety and another was killed, Captain Villamor said, when seven Japanese planes "rode him down." He is the son of the late associate justice of the Philippine Supreme Court and trained as a pilot at Randolph and Kelly Fields. The dogfight being described above was over Batangas Airfield in what is presently Batangas City. The picture above has been enhanced using graphic software to improve quality and colorized courtesy of Algorithmia.